Doing great low back stretches are simple, but effective way to ease a painful back and keeping it unhurt in the future. Committing self to various back stretching exercises every day is helpful in getting the necessary relief from back pain, even if you are having an awful low back attacked by arthritis or tight muscles. Regular lower back pain stretches is the best and easy way to avoid back soreness, which occurs after doing too much activity or lower back pain brought about by the changes in weather. Regardless, if you are in outstanding shape of not so good shape, good back stretch will save you from back pain. Do the following low back stretches every morning before after waking up. Low Back Stretch – Lie on your back, both knees bent and the feet on the floor. Initially, bring one knee towards the chest and hold it up using both hands. Bring up the other knee toward the chest and hold up both knees using your two hands. While grasping both knees, firmly full them down toward your chest and hold for fifteen to thirty seconds, then relax. Pelvic Tilt – Lie on your back, both knees bent and feet on the floor. While in this position, the small curved portion of the back should not be touching the floor. Start to tilt pelvis through tightening abdominal muscles, rolling pelvis backward and small part of back being pressed down against the floor. The sensation of pelvis backward roll should be felt. Hold the back stretch position for five seconds, and relax. Gradually establish up to ten repetitions. Buttock Stretch – Lie on your back having both knees bent and feet on the floor. Cross left ankle over right knee. While legs crossed, pull right knee toward chest using both hands. A stretching sensation must be felt in the buttocks and the lower back. Hold for 5 to 10-seconds, do five repetitions. Do the same with other leg. Knees to Chest – Lie on your back having both legs straight. Bring up one knee to the chest, while pressing small curve of back toward floor. Hold position for 5 to 10-seconds; do it five times. Do the same with the other leg. Piriformis Stretch – Piriformis muscle positioned horizontally through buttock muscles, when tight it provides back pains and sciatica. To do stretching for piriformis muscle, lie on your back having both knees bent and the feet on the floor. Cross one of your legs over the other leg, which the back of knee is near the top of your other knee. Pull knees toward chest so that stretch is experienced in the buttock. Hold position for 15 to 30-seconds, then relax. Do it three times. Regular daily activities as well as extended periods of inactivity contribute to having tight back muscles and lower back pain. 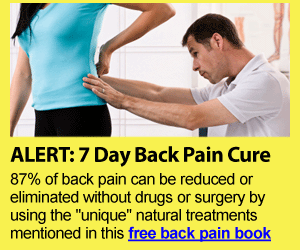 Eventually, this can lead to a compelling change in low back; muscles become shortened, development of arthritis is imminent and increasing the risk of injury, which will compound the chances for intense and frequent occurrence of lower back pain. The following are few back strain exercises and stretches recommended to keep the lower back strong and properly supported. The most essential part to work on is the isometric endurance because this has exhibited the most help in the reduction of lower back pain. However, do not forget that even the toughest mid-section cannot protect the lower back from being injured if bad form is used while lifting heavy objects. Posture contributes a big difference to prevent back strain as well; therefore, ensure correct posture. Establishing strength of the lower back muscles is important to protect the lower back from being injured and the goal is isometric endurance. Do not do this exercise if you pulled a muscle in the lower back recently because it will be difficult to execute. Skip to exercise that is more appropriate instead. This exercise involves lying flat on your stomach in a chair or elevated block. From that position stretch both arms and legs in a horizontal position (as if flying). Hold the position for at least a minute. In doing this back pain stretches, it is recommended to go slowly. The abs will be flexed tight as support to the lower back. Focus on maintaining the entire torso in stationary and flat and only the limbs move. Lie on your back in a comfortable surface, knees bent, feet flat on floor. Place hands behind the knees then pull legs up toward chest. Relax buttocks and low back so that pulling on knees and legs is stretched. Pull until feeling gentle, comfortable low back stretch. Hold position for 5 to 15 seconds. Return to starting position. Do 5 to 10 times. While keeping back on floor, rotate pelvis and hips towards the left, holding knees together while legs being rotated down on the left. Allow weight of legs to rotate pelvis and hips going left feeling gentle, comfortable stretch. Lie with face down on comfortable surface. Prop up top half of body by putting body weight on elbows, allowing lower back arch comfortably backward toward comfortable curve. Chest and abdomen must be off the floor. Press down on floor slowly with the palms as elbows are straightened. This will cause low back extend backward further increasing depth of backward arch. Continue straightening elbows feeling a gentle, comfortable low back stretch. Hold position for 10 to 30 seconds. Return to starting position. Do 2 to 3 times. Doing stretches for lower back pain will lessen the tension and reverse shortening of major muscles of your back in a pleasant and effective way. Moreover, consistently doing lower back stretches few times per week can help increase the blood circulation and lymphatic fluid circulation, decrease fixation and restriction of the arthritic joints, will make back feeling better and lessen the chances of future back pain experience.